Ms. Grimaldi is a past President of the National Academy of Elder Law Attorneys (NAELA), New York Chapter; she is a NAELA Board Member, Member of NAELA’s Advocacy Committee and member of NAELA’s Council of Advanced Practitioners (CAP). 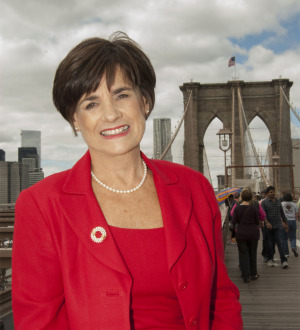 She is currently the Chair of the New York State Bar Association’s Elder Law & Special Needs Section, is a member of the House of Delegates, and is a past Chair of the New York City Bar Association’s Legal Problems of the Aging Committee; Charter member of the Academy of Special Needs Planners and the National Academy of Elder Law Attorneys, and was recently named to the National Board of the National Academy of Elder Law Attorneys. Ms. Grimaldi is also active in the Senior Issue Committee of New York City’s Community Board 10, where she is currently working on developing a Bay Ridge Age Friendly Improvement District, and has recently authored a book, “5@55”, The 5 Essential Legal Documents You Need by Age 55”. Articles: Author, "Staying at Home Options Other Than Medicaid," New York State Bar Association Advance Elder Law Seminar, Spring 2001; Personal Care Contract Options, January 2008, MOLST: New York State's Medical Orders to Honor the Wishes of Seriously Ill Patient, NYSBA Elder Law Attorney, Spring 2009; "New York State's Power of Attorney Gets a New Look & Better Control", Alzheimer's Association, NYC Chapter, Summer 2009; Overview of Health Care Reform: Impact on Medicare and Medicaid Recipients, NYSBA, Fall, 2010; Legal Capacity Counseling, NAELA Advanced Elder Law Review, January, 2011; Updates on Health Care Reform: Impact on Medicare and Medicaid Recipients, NAELA News, Winter, 2011; The Class Act – Community Living Assistance Services Supports Act—A Long Term Care Option in the Health Care Legislation, NYSBA Newsletter, Spring, 2011. Books: Inside the Minds: Best Practices for Long-Term Planning and Nursing Home Protection, Aspatore Publishers, a Thomson Reuters business - Authored chapter: Effective Strategies for Client Long-Term Care, March, 2011.